A big chunk of the 2013 games are on their way over from Essen. I have already had the good fortune of playing several of these and am beginning to formulate an informed opinion of how these games will stand up in my collection. Of course, that got me thinking about how each of the past 10 years worth of game releases stand up. This geek list attempts to quantify this. I took the average rating of the top 10 games in my collection for each year since 2013 and calculated the mean for the top 3 & the top 10, so attempt to quantify the best games for the year and the depth (number of solid games) for the year. This will bias things in favor of the most recent releases (since average ratings drop with time & more quickly in the first years), but on balance should be an indicator. I then ranked each of the years, and came up with a figure of merit (2x Top 3 Rank + Top 10 Rank) to determine the best years. Here are the results, using my favorite game for the year as the place holder & some personal notes to make it interesting. Please note, I considered the Puerto Rico Anniversary edition a 2002 release (as Puerto Rico). 2012: So far, seems to be a banner year for board games; It had the highest average for the top-3 and top-10 games in my collection. I attended Lobster Trap (best con ever) for the first time, actually made friends at a Con (Unity games) & for the first time really had more opportunities to play games than I could even think of managing. My second child was born that year, but sadly I had to spend ~30 calendar weeks on the road for work (I will probably be upset / terrified about that forever -- who has to travel for a week, 2 weeks before their wife is due). Sorry for the downer -- At least Liz & the boys got to live in DC with me -- Eoin was only 3 weeks old when we left. I do believe that after the dust has more time to settle, 2012 will be remembered more for its best games than any depth (i.e. sheer number of very good games). 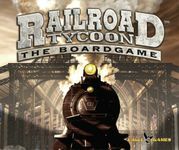 2007: While I have been collecting games since 2003, it is safe to say that I truly became a Board-Game Geek in 2007. 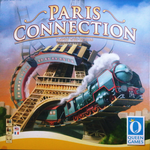 It is when joined my first game clubs, found my first FLGS, became aware of the Spiel fair in Essen & registered on BGG. Perhaps coincidentally, it seems to be a strong year for games. I also got my Harvard professorship & moved back to the US, proposed to my wife & managed to quit smoking. You can tell I wasn't quite a geek yet, as my first purchase with my first real (meaning sizeable) paycheck was an Adrian Peterson premium NFL jersey (his rookie year & before anyone knew). The FLGS was next door, but lower priority (stop #2). I do believe that when the dust settles, this will be ranked the best year for games spanning at a few decades. Just so many good games, the real arrival of Winsome Games as a force & the beginning of the Feld / Alea partnership. The dust is probably still settling on 2011; In the end, I think this year was more about depth (lots of good games), but not many great games. It does get bonus points for the anniversary edition of Puerto Rico, a game that truly defines 10 on the BGG scale for me. 2005: The first surprise on this list. I don't really think of it as a great year for games. I was mostly collecting Spiel des Jahres games at this time & Niagara wasn't very good. The failure of Niagara & Torres (for me) is perhaps what put me onto the track of BGG, since I realized not all SdJ winners were awesome and would need another resource. At least Caylus came out this year & I do enjoy my worker placement. The result is a bit biased by Twilight Struggle, which I still have not played, despite owning since 2007 & paying full MSRP at an FLGS (lesson = BGG ranking is not everything). I think 2005 is a year marked by a few very good games & not much else of note. 2008: The year I got married, my first full year with a permanent job, my first game convention, and the year I discovered BrettSpielWelt. I will never forget ordering Agricola (in English) from our tiny apartment in Paris & being so excited, that I accidentally hit express ship (despite not being back in the US for a few more days), then having to call Gate Play at ~2 am from the bathroom to (successfully) fix, while failing not to wake my wife. Liz got so used to falling asleep to the BSW sounds for Stone Age that summer, that for a while she asked me to play BSW in our Tucson bedroom so she could fall asleep (despite our usual ban on electronics in the area). Really a strong, if not top-heavy, year for games; So many new mechanisms (deck building, coops), the rise of Tree Frog / Wallace & yes, Agricola in English. 2010: My first child, buying my first house, moving to Boston, leaving all my Tucson gaming friends; Seriously, What are games? At least I befriended Terry Egan, who introduced my to much of the local (Boston) gaming scene. BTW, Boston rocks & sometimes it is a really good idea to make a local trade (even with the results not being in your favor). While 2010 is certainly a blur, I mostly remember it for having a ton of very good, but no great, games. 2004: The year I met my wife, the year I became very successful in my field, and my first year where games became a true passion. Living in Germany at the time was amazing & my only regret is that I never knew about the Essen fair during my 5-year stay. I also cut off my pony tail, after nearly a decade of being a "hair farmer". Overall, I think some amazing games came out in 2004, but there was little depth outside of the top 5 or 6. Just not a very good year for games, although plenty of reasonably good ones. I think this one is most memorable for the solid mid-weight designs that fare poorly on the Geek (e.g. Valdora, Golden City, Finca). Steam got bonus points in my top-3, since Age of Steam is my all-time favorite, even if the former isn't nearly as nice a design. 2006: My last full year in Germany & the last year I smoked a cigarette. We were still playing Catan & Ticket to Ride all the time. However, we did get Puerto Rico (#1 on BGG) & El Grande (#5 or so) that year, and that slowly began the migration to heavy games. One could feel the days in Germany coming to an end as I got my first professorship interviews & watched all my ex-pat friends in academia start to leave with new opportunities. Really a poor year for games. TtA is just too long & fiddly & there really isn't much else of note. Even the Alea / Winsome games were poor. 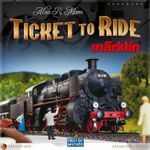 TtR Maerklin gets the nod here, as the system is frankly brilliant & could not be recognized in 2004. 2003: A terrible year for games, but it is the year I started playing games again (plenty of D&D, Axis & Allies, Risk, Chess, Backgammon, Scotland Yard & Monopoly as a kid mind you). Alhambra started it all. I'll never forget purchasing it (10 Euro on sale; also Hotels), thinking the SdJ badge was a gimmick to steal my money, but needing something to pass the time while my sister & I minded her jet-lagged toddler. It took me ~2 hours to translate the rules for what seemed like an impossibly complex game. However, we played it & played it again, & again & again. Eventually we went back & bought more copies for the family. Every year from then I had to ferry back SdJ winners to the US for X-mas & the Geek was born. It was also my first full year in Germany, my grandfather passed leaving me as the eldest male & I quit regularly going to bars (plenty of cafe's though) - noting that I was once a bouncer. In short, a very poor year for games. I only like my 3 favorites a lot (they are 8's) & have remarkably few games in general from this year. 2002: If one tosses 2012 because it is still too new, and adds in 2002 the rankings don't really change. My two favorite games were released in 2002 (Age of Steam & Puerto Rico), but nothing else from that year is really very good & that pulls the metrics way, way down. 2013: It is hard to tell how 2013 is going to stand up; It is only a week or so after Essen & cult-of-the-new is very much in effect. Looking very much to be in the middle of the pack following my metrics, but with a few outstanding games. Definitely the year of Feld. A rough year personally, but Liz & I are doing well & the boys are so happy / healthy, so what is truly important is all fine. I can't say enough how much I enjoyed Russian Railroads (perhaps a new entry in my top 10) Continental Divide is the best Winsome in years. I know I will love Caverna. BTW: four Feld games is simply awesome to experience. Patchistory is a wild card as all the lads seemed to enjoy it.